Yesterday was Black Friday, and all across America, we rang in the holiday season with cashiers and credit card machines. This year, as you head out in search of the perfect gifts for your friends and family members, consider stuffing your shopping bags with books--bought from your local independent bookstore, of course! For the little person in your life: How about a wordless book? The story changes every time the book is "read"! David Wiesner's Tuesday, Sector 7, and Flotsam are always a hit. We'd also recommend Wonder Bear by Tao Nyeu. The illustrations are beautiful and are great fuel for story-telling. 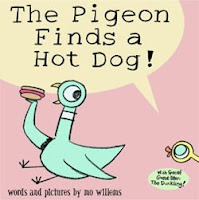 Mo Willem's Pigeon Books give kids a chance to talk back to a book. Plus, the illustrations are simple enough for any kid to learn, and create their own Pigeon story. If you're looking for a different take on a picture book, try Wabi Sabi. Told top to bottom instead of left to right, it's a simple and beautiful story that will teach children how to find magic in the ordinary. 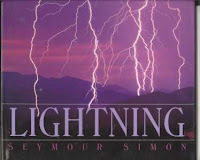 For non-fiction, check out the books of winning children's science writer Seymour Simon. His photographs are out-of-this-world. For the sports fan: Dan Gutman writes some great middle grade sports adventures. Also for middle grades, In the Year of the Boar and Jackie Robinson by Bette Bao Lord, is a poignant story about a 10-year-old Chinese girl who immigrates with her family to America. Her fascination with baseball and Jackie Robinson sustains her through the difficulties of her first year in a foreign land. The baseball elements sit in the background of this sweet and funny story about cultural adjustment and early adolescence. Dairy Queen, The Off Season and Front and Center by Catherine Gilbert Murdock are great choices for the female sports fan in your life. The three books center around narrator D.J. Schwenk, whose story begins when she helps train the quarterback of her school's rival--and ends up trying out for the team herself. For the philosopher: Flabbergasted by Ray Blackston. Hilariously funny. Lamb by Christopher Moore takes a look at the early life of Jesus, from the perspective of his best friend, Biff. There's also Good Omens, written by the iconic Terry Pratchett and Neil Gaiman, all about what happens when there's a mix-up when the Antichrist is born. There's also the books of Kate DiCamillo, which are marketed to the old elementary and middle grade crowd. Her writing, with its lyrical prose and high-level vocabulary will provide a satisfying challenge to the young person who can read anything. Her best known book is The Tale of Despereaux, but her newest novel, The Magician's Elephant, is a beautiful story of hope and family--a perfect tale for the holiday time. For the intellectual: Remembering Babylon, an obscure but wonderful work by David Malouf, is about an English boy who, shipwrecked on the eastern coast of Australia and presumed dead, was raised by aborigines until, at age 30, he stumbles upon a colonial settlement in Queensland and tries to reintegrate into European society. Also, don't forget about the many wonderful classics: Dickens, Jane Austen, the Bronte sisters, Henry James, Thomas Hardy, Fitzgerald, Hemingway . . . so much for readers to sink their teeth into! For the mature foodie: A cookbook by The Barefoot Contessa, Ina Garten--everything is killer delish! How To Cook Everything by Mark Bittman--so informative! For the techno junkie: Know someone who won't tear their eyes away from their laptop? Tempt them with a book from the cyber-punk genre, a cult-status subset of science fiction. You can start with the gurus of the genre--William Gibson (ever seen The Matrix? You can thank him for the idea!) and Neal Stephenson. Or, delve deeper and check out Richard Powers. First Time Authors to Check Out: Here at the FNC, we've interviewed and reviewed the work of several debut authors, but we cover only a tiny fraction of what's out there. 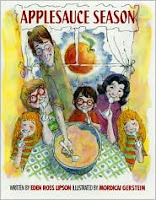 If you're interested in fresh voices, check out authorsnow.com for an exhaustive list of the 2009 debutants. Quality Science Fiction: The Lathe of Heaven by Ursula K. LeGuin is about George Orr, whose dreams change reality. Octavia Butler is the author of several books with science fiction themes, from Armageddon to time travel, with human relationships at the center of it all. Writing Reference Books: There are tons of great ones out there for every genre and every market in the writing world. Here are just a few that these writers have test-driven and approved: The Curious Writer, by Bruce Ballenger; Reading Like A Writer, by Francine Prose; and Writing with Power by Peter Elbow. Of course, this is only a sampling of the many wonderful books available this season, so comment and add to our list and get in the holiday-book-buying spirit! WOW! There are a TON of great suggestions here. I love all of them! Awesome work compiling this list. Just love your selections! A little something for everyone! Thanks for all the great suggestions! Thanks for this super awesome helpful lisT! I can tell I'll be coming back to it to make my holiday shopping happen. Excellent post, ladies. Was planning to do something similar on my blog... and now I don't have to! I can just link to your awesome holiday shopping guide. Are you a "New Adult"? I am! Happy Deadly Little Lies Release Day!